No idea where to store all those Citadel paint-pots? In our tailor-made foam tray, of course. 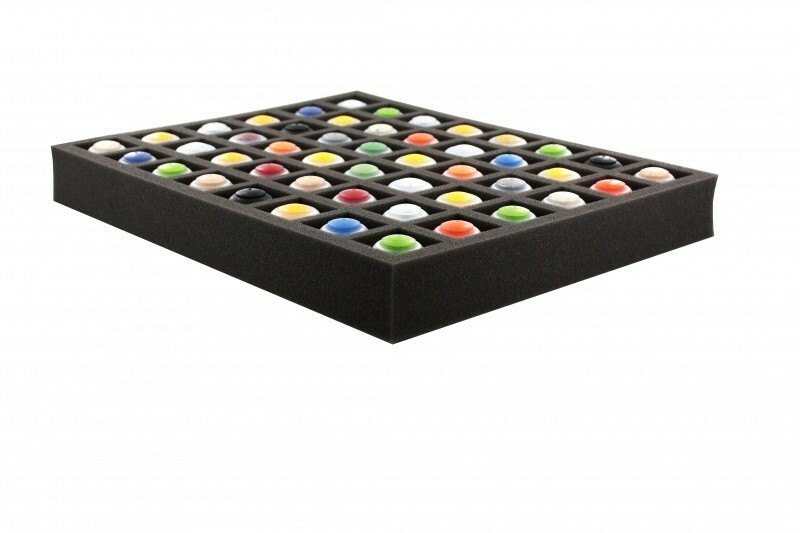 The tray has 48 compartments which provide order for your Games Workshop paint collection. It is suitable for 12 ml pots. Here, they are clearly organized and always at hand. 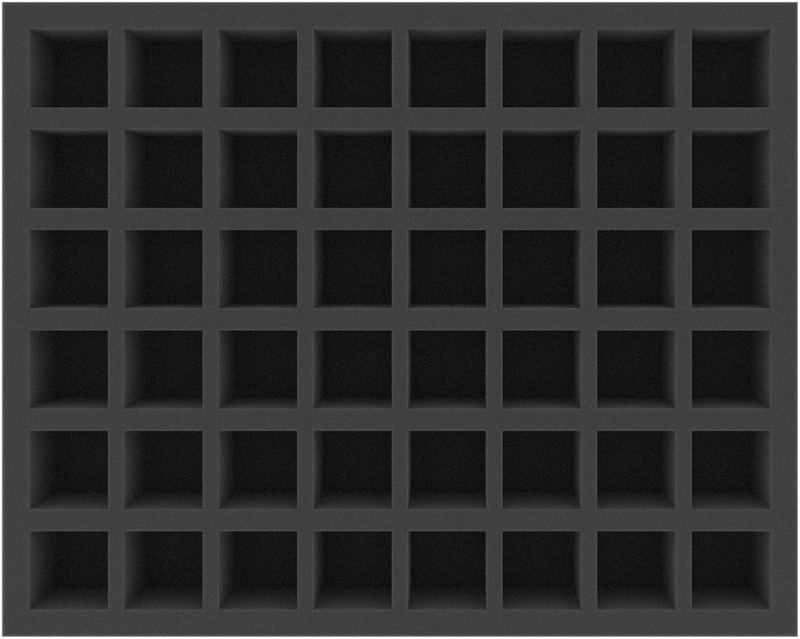 Each of the 48 compartments is 34 mm long x 34 mm wide x 40 mm deep. 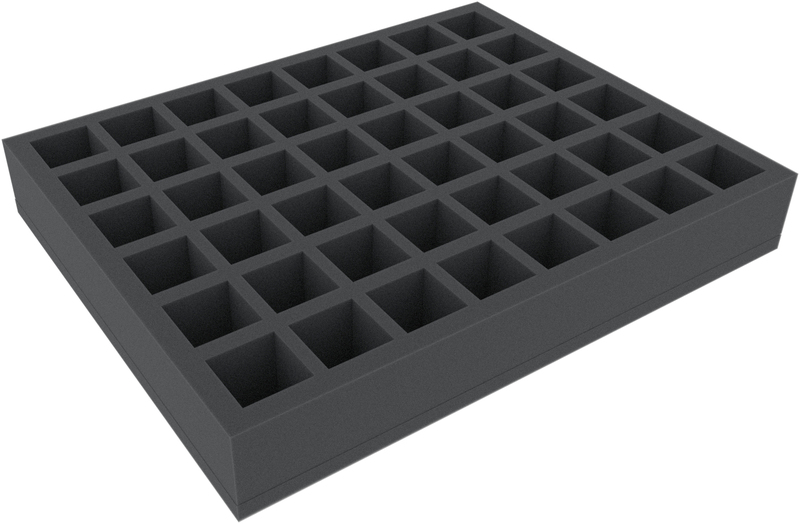 The Full-Size foam tray has the following dimensions: 345 mm x 275 mm x 50 mm total height (40 mm usable height + 10 mm foam base).